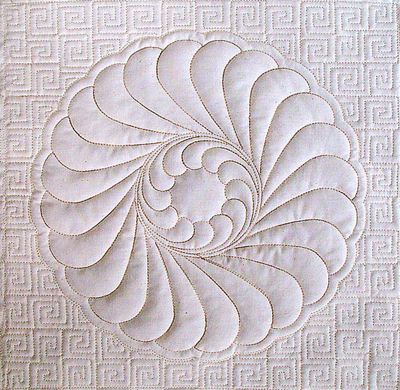 These Fill Patterns can be used inside a boundary to add texture and detail to a motif, or as background fill behind applique or a quilted motif. 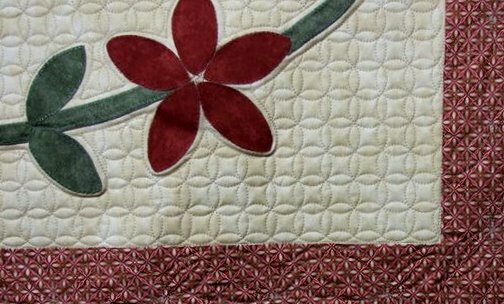 Using the Fill Function, these patterns will not tie off, but stitch along the edge of a boundary line and continue to the next stitching line. 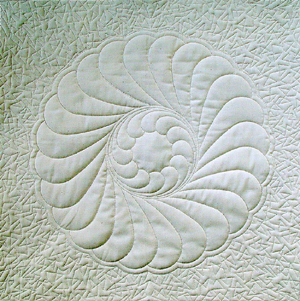 You will find a variety of straight line and free-hand style patterns in this group. 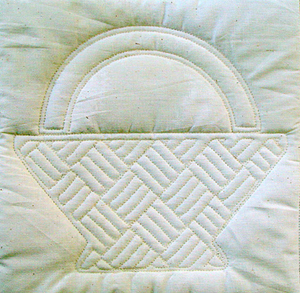 The link to the Store is at the bottom of the page. 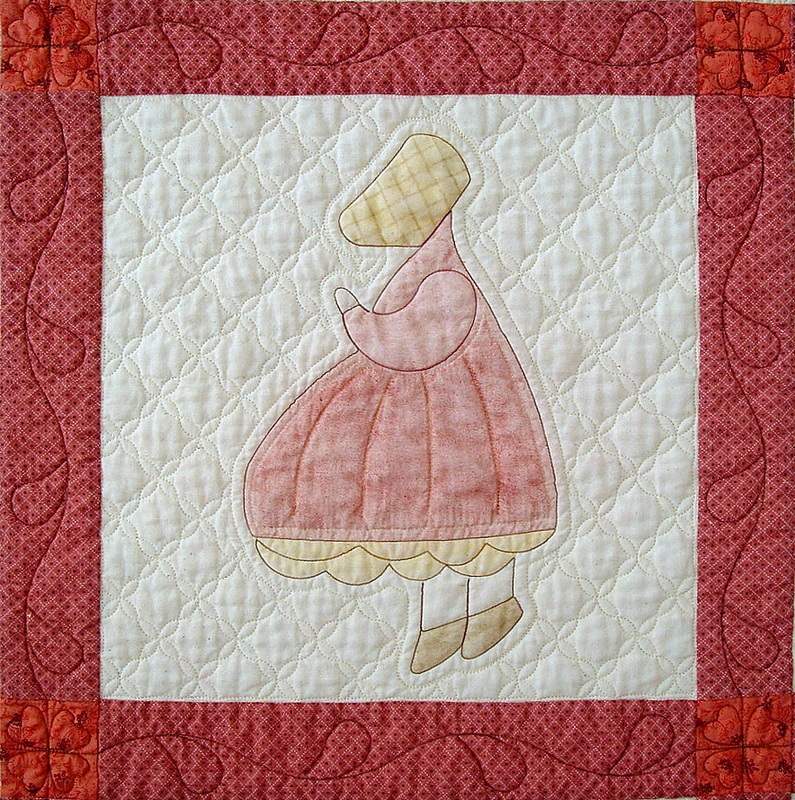 Fill Pearls used as Fill Inside, between frame and the Sunbonnet Girl. 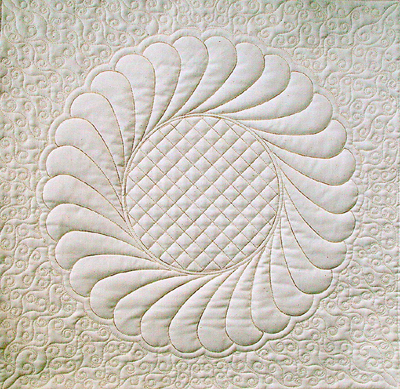 Fill Curves used as Fill Outside on the edges of the quilt. 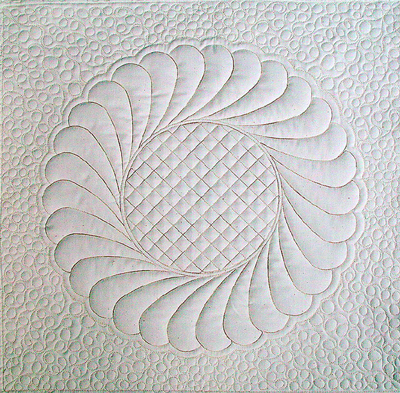 Fill Basket Weave as background. 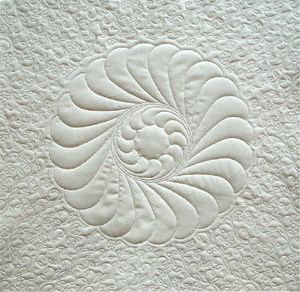 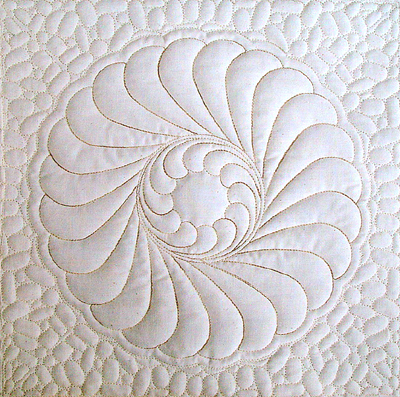 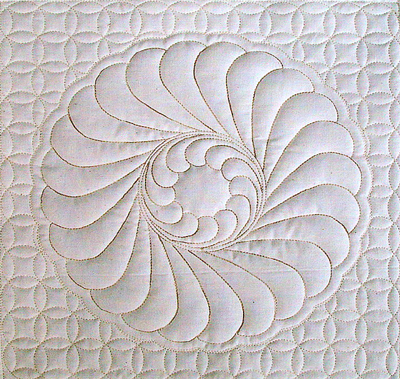 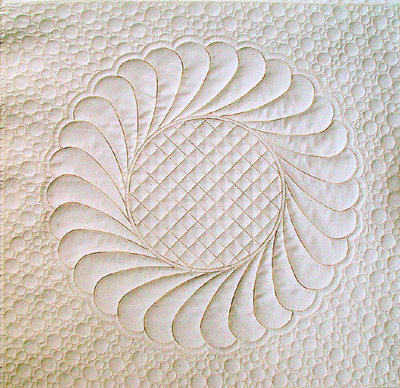 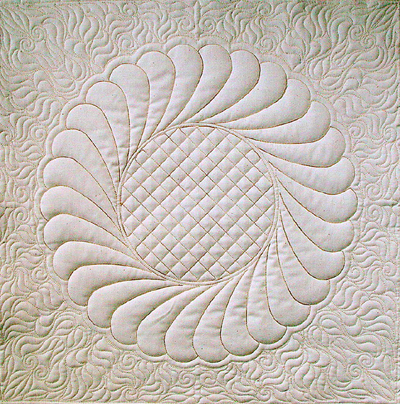 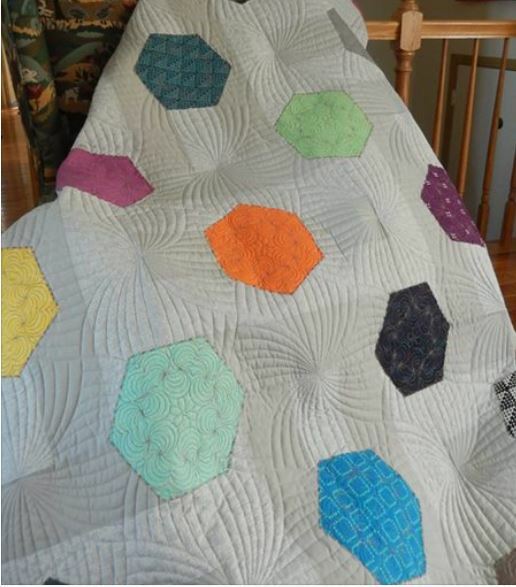 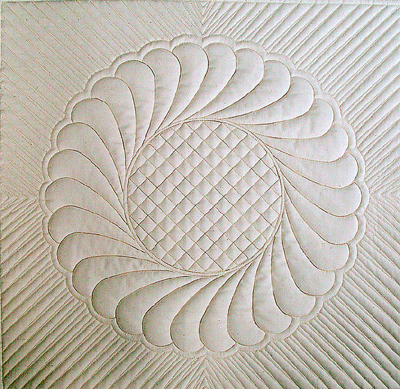 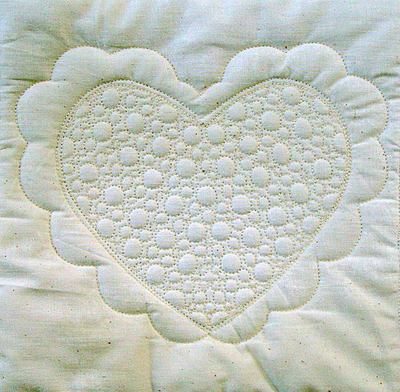 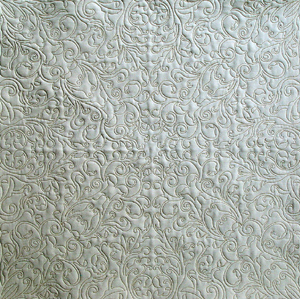 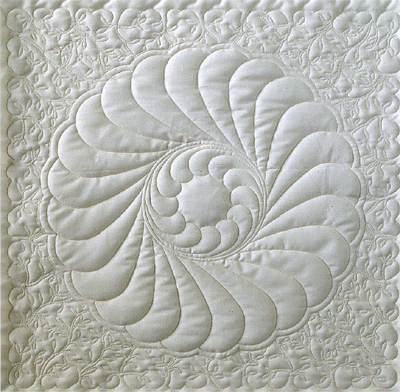 quilted in a 12" block. 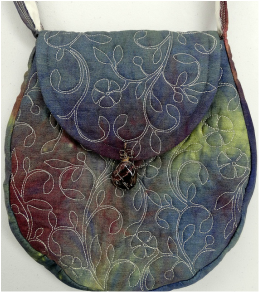 Fill Morning Glory used to quilt detail into a purse. 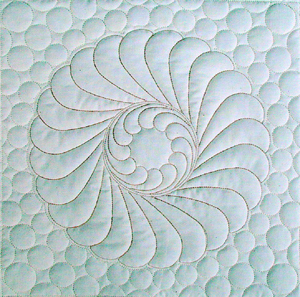 These new patterns are drawn to work with Creative Studio's Fill function and are designed to fill a space with minimal retrace lines and no tie offs. 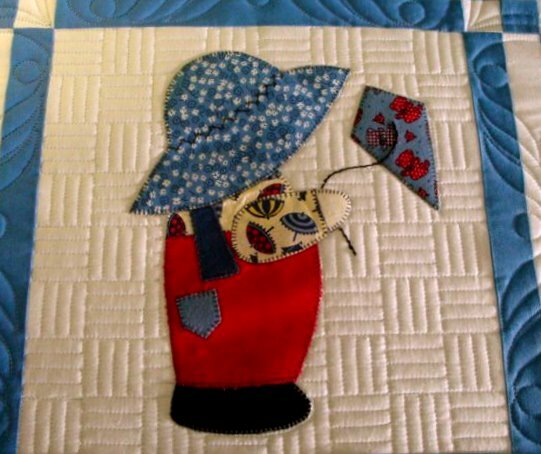 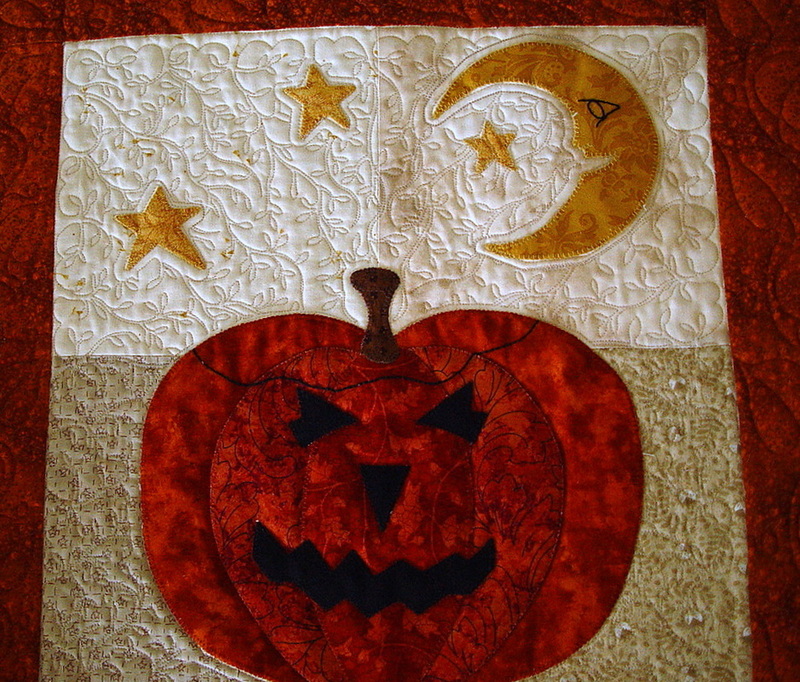 I love the way they fill a background, but they will also fill the interior of a quilting motif or applique shape. 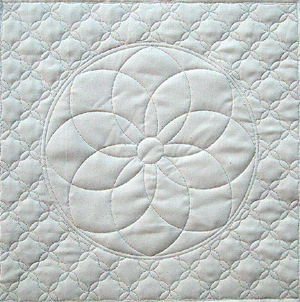 Patterns are drawn as complete blocks so they can also be used to fill squares, triangles or other open spaces. 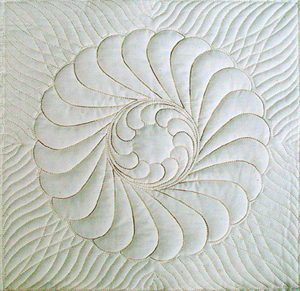 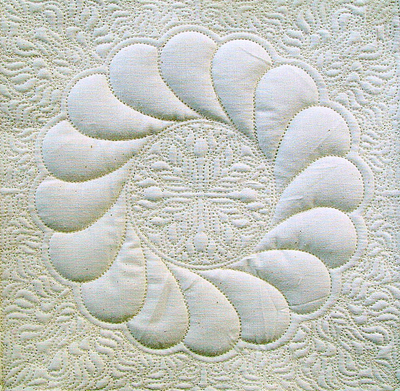 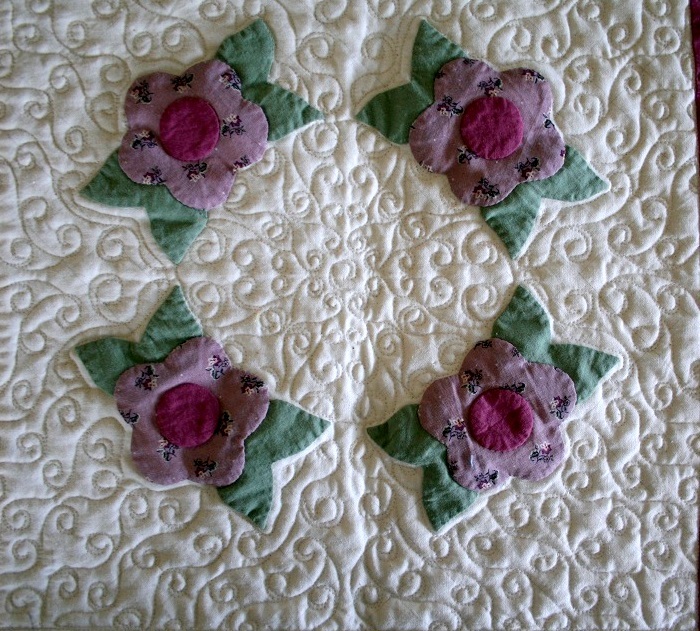 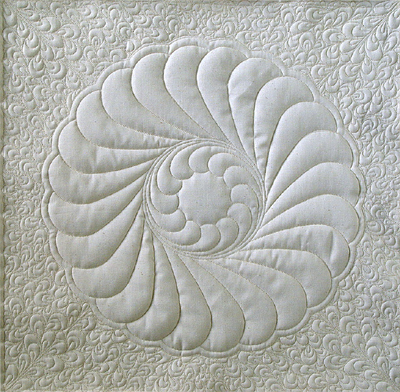 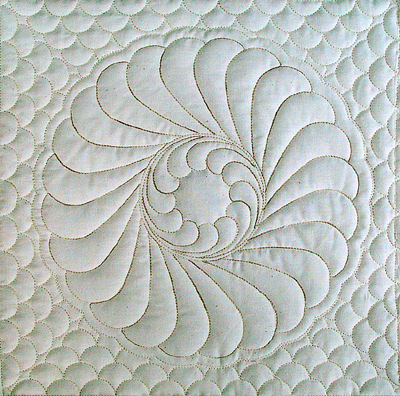 a quilting or applique motif and are not a part of the Fill Patterns. 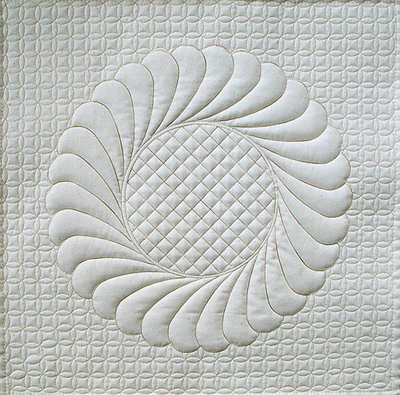 New Curved Grid patterns add beautiful detail to the center of wreaths or other inside spaces. 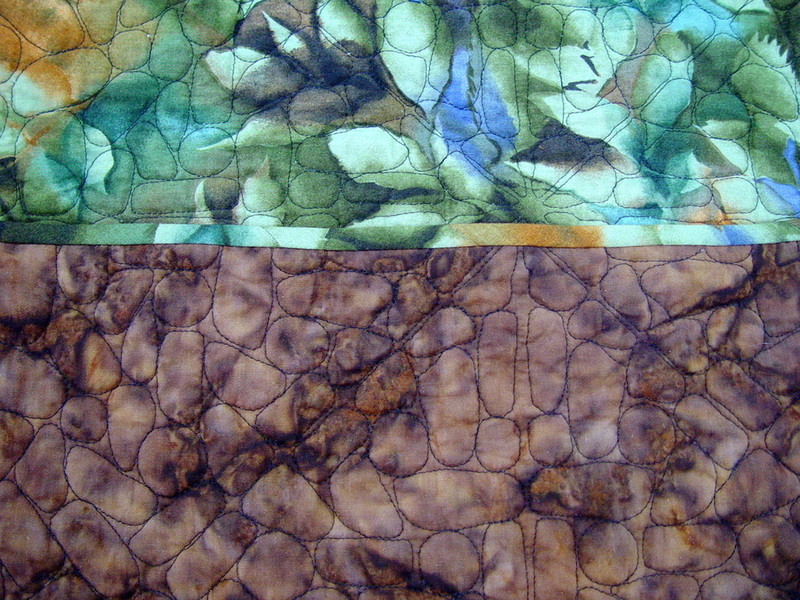 They can also be used to add texture to blocks of any shape. 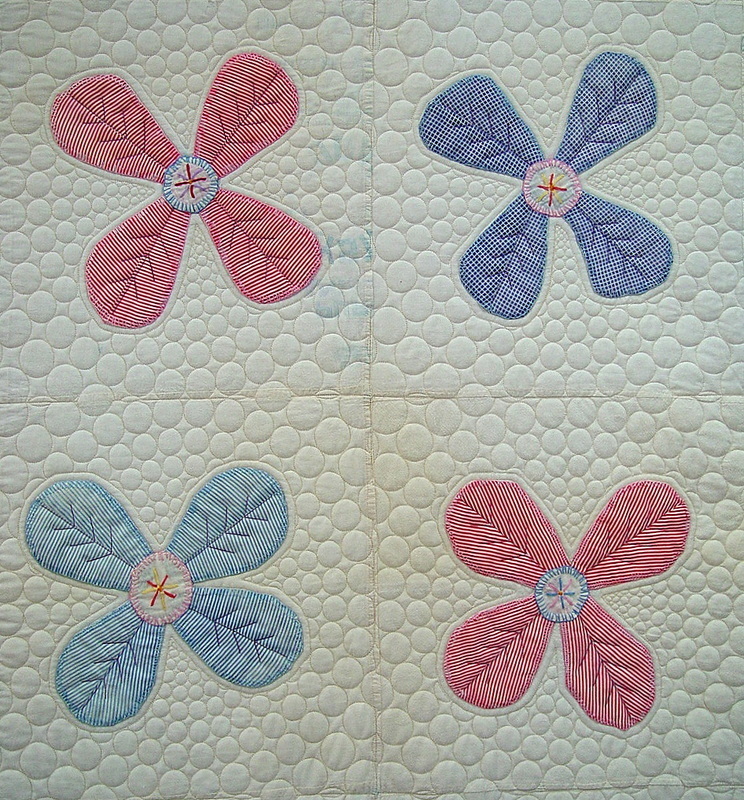 Select the section of the pattern you like, then use Fill Inside to crop the pattern to fit. 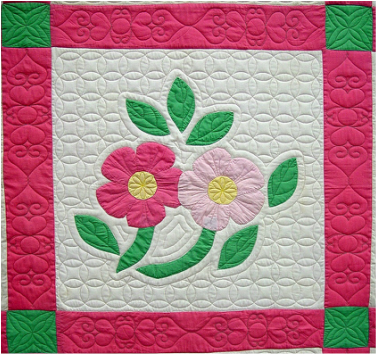 Please note: these two curved grid squares are not intended to be used as background fill behind applique. 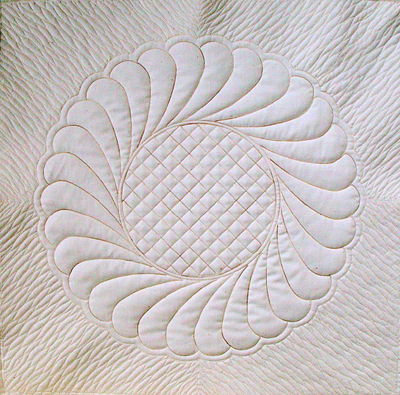 Curved Grids shown inside a feathered oval, hexagon, and feather wreath (below). 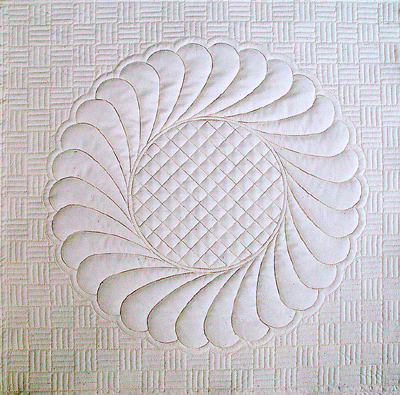 Feather patterns are available on the Infinite Feathers page. 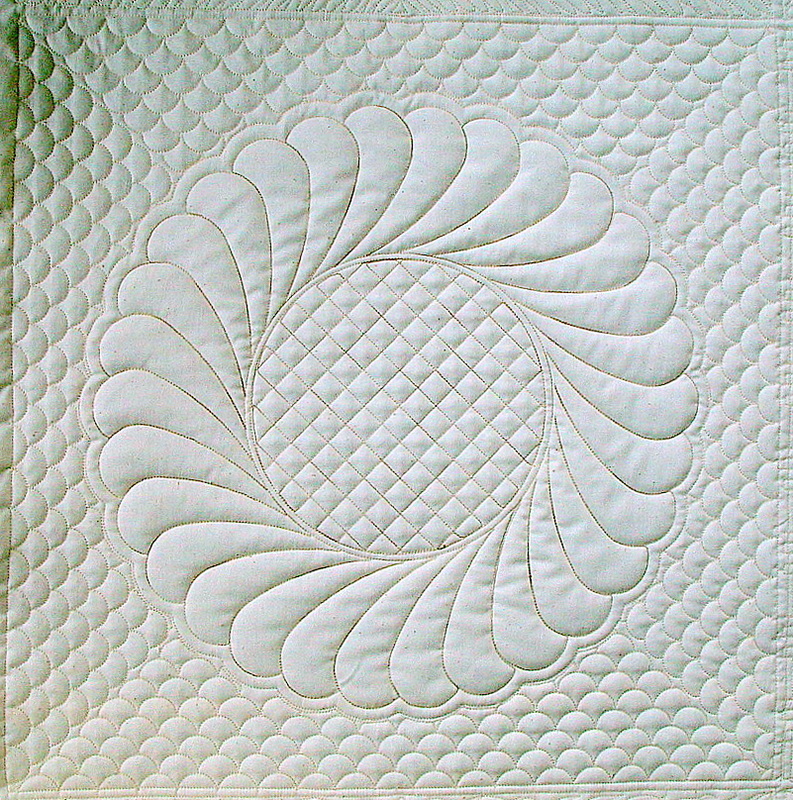 Curved Grid Triangle used as Fill Outside, behind a swag border. 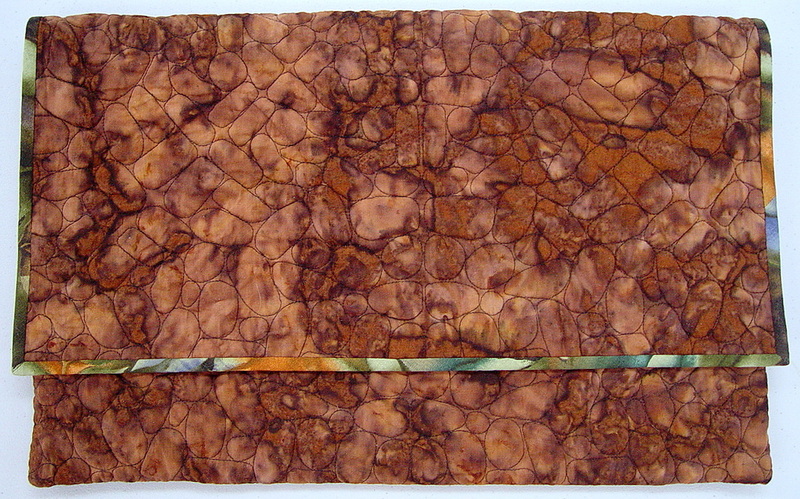 ​ as a background fill.